It’s still a slow time for Cardinal baseball. The Winter Warm Up has come and gone and while many interesting things came out of that, it was still a lot of the players hoping for a good season. We found out Luke Gregerson is the closer–for now–and had reemphasized that Alex Reyes probably won’t be around until May 1. Right after the WWU, Randal Grichuk got shipped up to Toronto for Dominic Leone and Conner Greene. It’s a good trade for both sides, most likely, and one that Allen and I talked about in this week’s Meet Me at Musial. The short answer, of course, is that I’m a very silly person who likes to continually reference things that most people likely don’t care about. Let me elaborate a bit more, though. The term goes back to the post after his very first start. It was right before we set up the Conclave, so you have to read it through the Internet Archive, but you can find it here. Never one to let something drop, I’ve been calling him that ever since. I honestly didn’t think things would last as long as they have. Lyons wasn’t someone I knew anything about before he made his debut, but he started strong and continued to have an impact on this team over the past few years. Right about three years ago, I wrote a post about him in advance of having the chance to interview him, a conversation you can still listen to if you are so inclined. Somewhere along the way, I started using the #PatronPitcher hashtag on Twitter and while my posts make up probably 90% of the usage, I always get a kick out of it when someone else picks up on the phrase. One of these days Dan McLaughlin is going to accidentally use it on the broadcast and I’ll have another highlight in my blogging career. 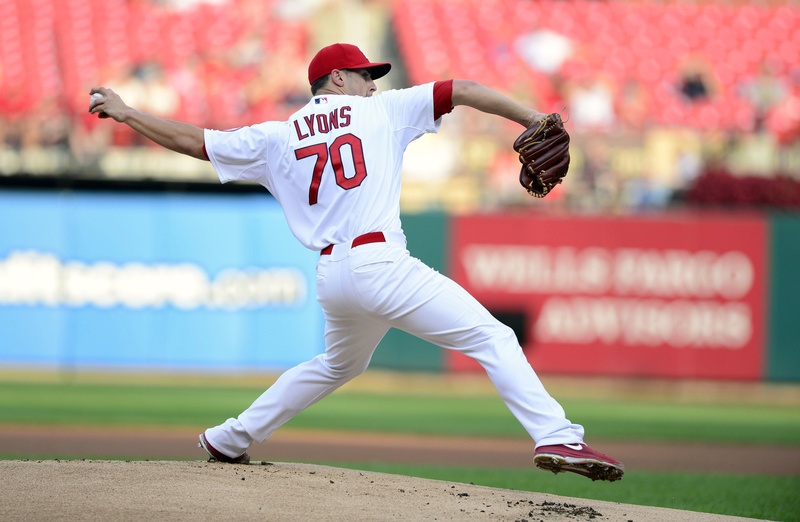 It was wonderful to see Lyons become such an integral part of the bullpen last year. I do think he could start for a number of teams, but having him be that reliable guy, the guy that could pitch the eighth as well as throw three innings in relief of a starter, was outstanding. Plus that meant we got to see him more–but not so much that we worried much about his arm. (It sounds like his knee is more the troublesome part.) I’m excited to see what he does this year and how he follows up what was really a breakout season. Maybe he’ll get saves or maybe he won’t, but odds are he’ll be the guy we worry about the least when he comes out of the bullpen. Here’s to you, Patron Pitcher. May your reign be long and glorious!